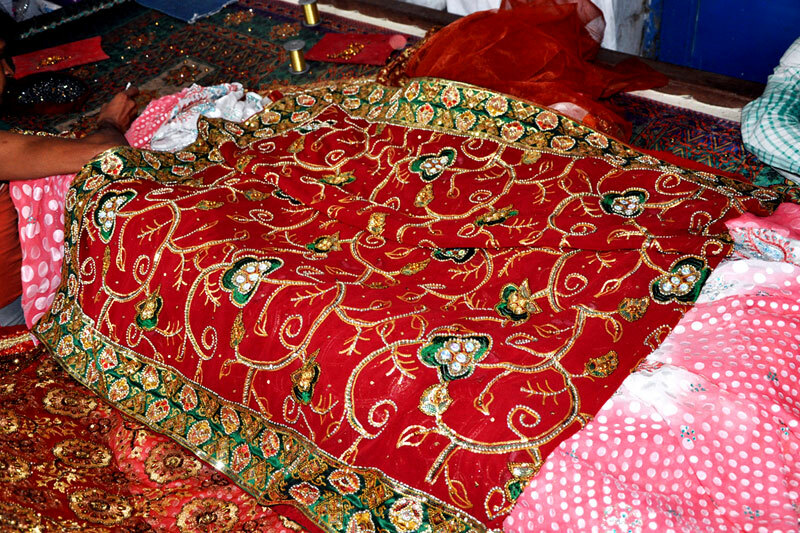 The traditional art of decorating the cloth by using various precious and semi-precious materials was called as Zardozi. 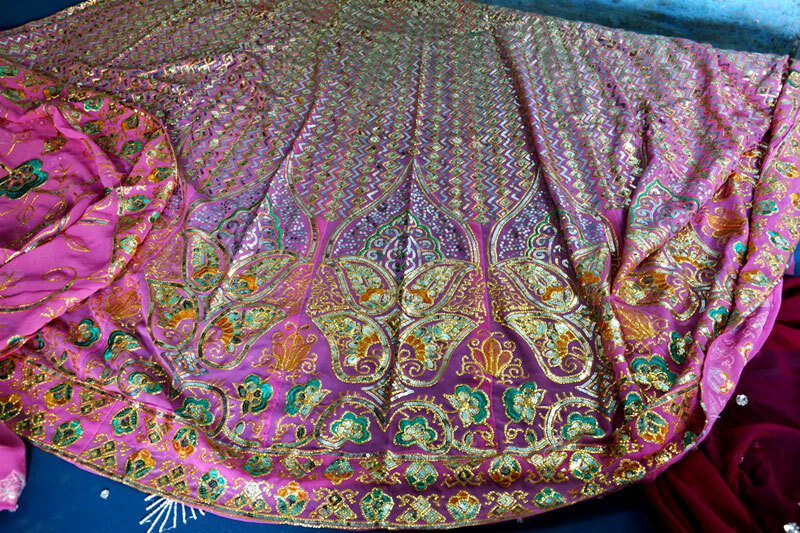 The craft which was done painstakingly by the artisans was patronized by the Nawabs of the Awadh and other royal people. 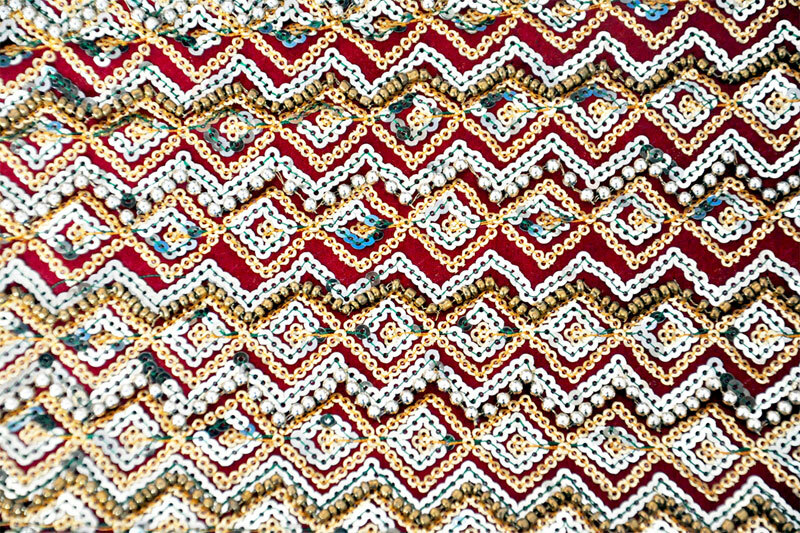 Zardozi embroidery is impressively ornamental and profoundly crusted gold thread work has been practiced in various parts of the country. 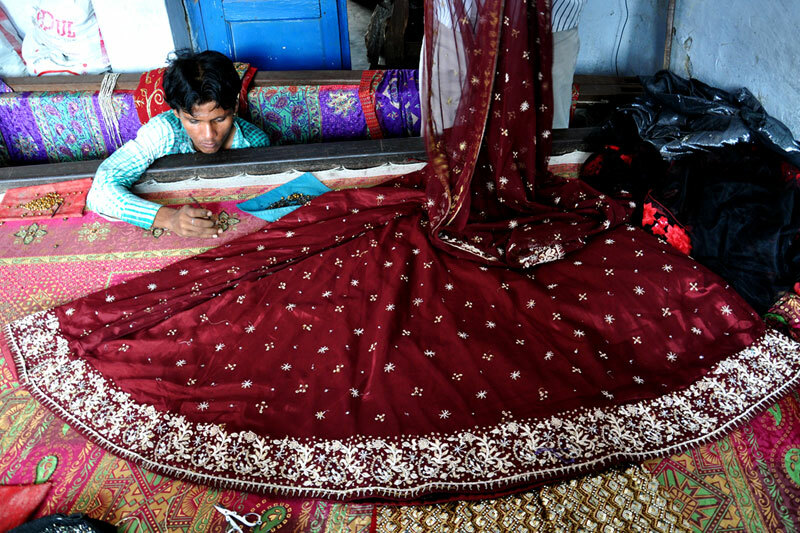 Allahabad is one of the main centers for Zardozi work apart from Lucknow, Varanasi etc. It became popular among the affluent Hindu, Muslim and foreign people. 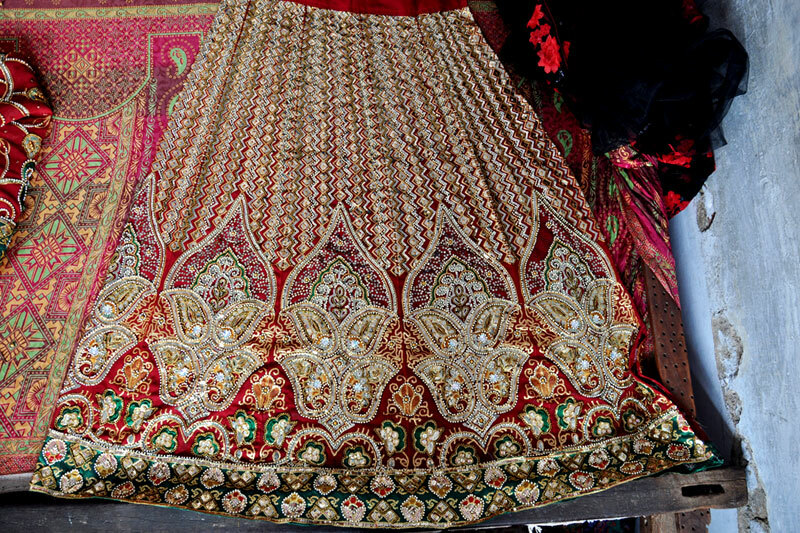 Zardozi is believed to be one of the oldest and most lavish embroidery styles in India. 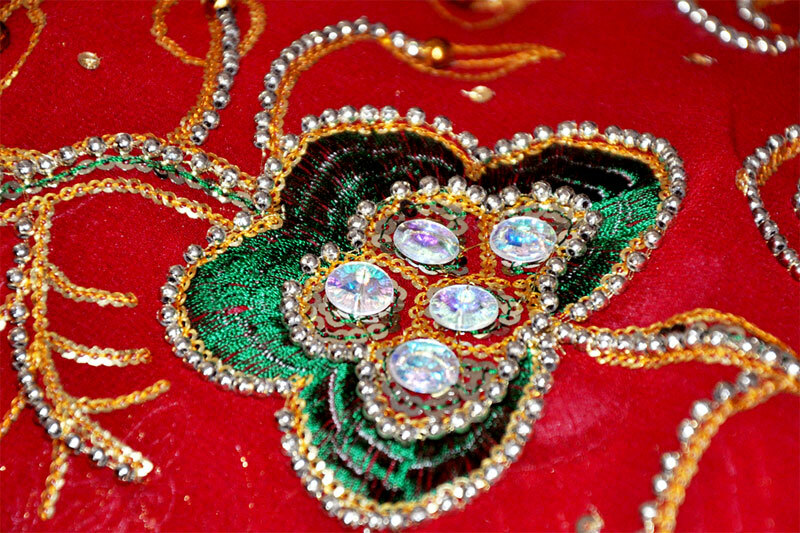 Zardozi embroidery is hand-stitched embroidery done mainly by the Muslim men. Needle, the main tool used in the process has a hook at the tip which runs up and down through a tightly pulled cloth over a large wooden frame. 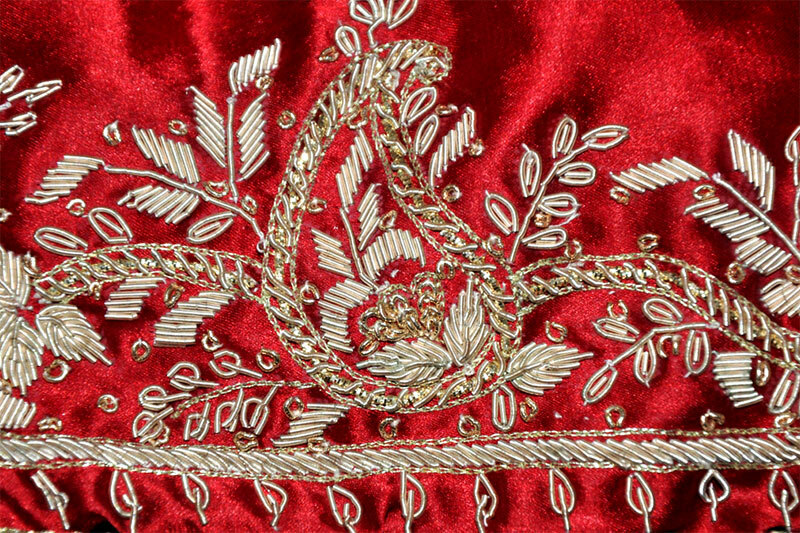 This form of embroidery involves the use of both the hands, one above the cloth which holds the needle and picks the material and the other from below which ties the stitches. 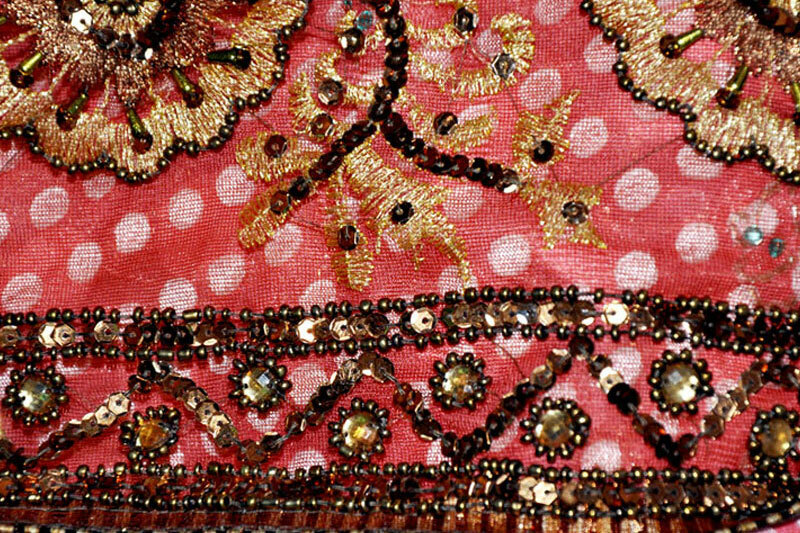 The final exquisite product is an outcome of tremendous skill and lots of patience. 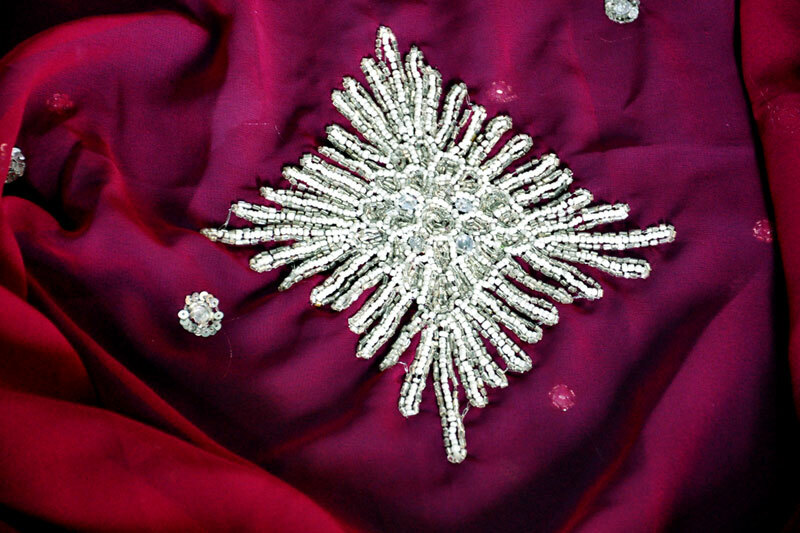 Since the craft has Mughal origin; the motifs are also inspired from the same culture. 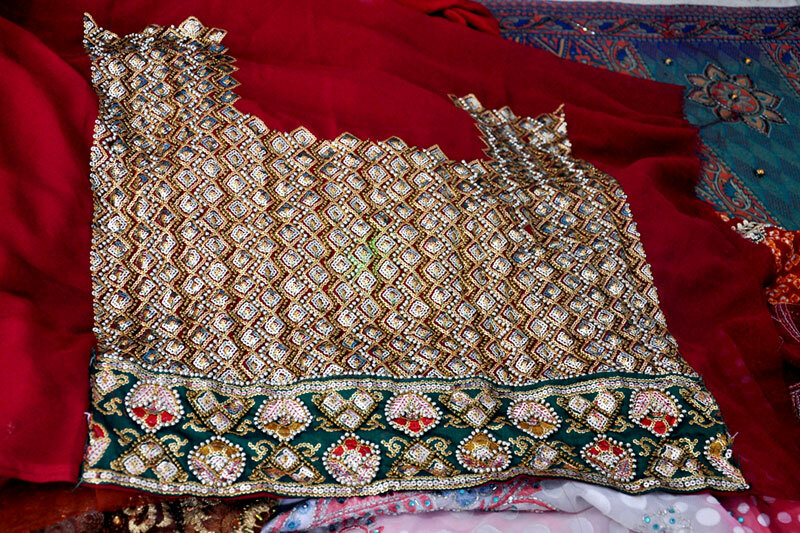 The designs comprised of floral patterns, paisley, geometrical patterns, jaalis etc. With the change in time many new designs have been added according to need and demands of the customers/ market. 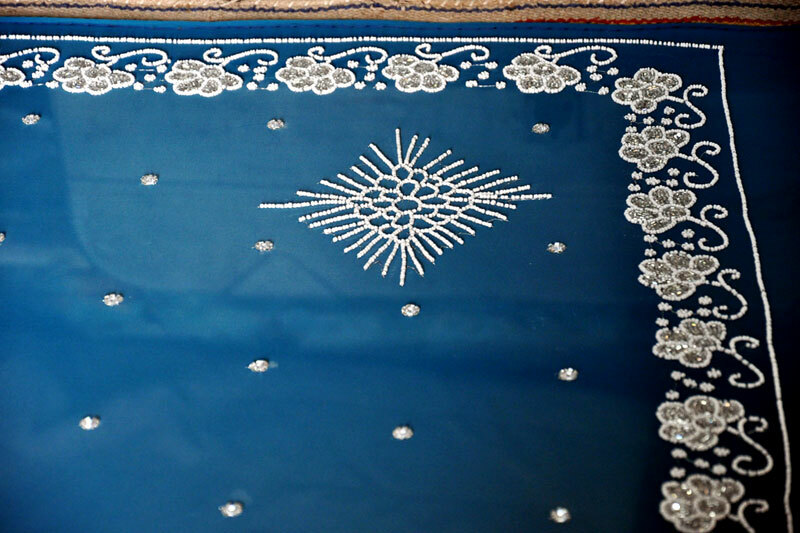 But still traditional motifs are preferred largely on expensive products.